Noodles & Company, known for serving classic noodle and pasta dishes inspired by flavors from around the world, today announced an offer for all NoodlesREWARDS mac-loving members to snag a free small bowl of Wisconsin Mac & Cheese with the purchase of a regular entrée on Saturday, July 14, in celebration of National Mac & Cheese Day. Not a NoodlesREWARDS member? No problem! Simply sign up at Noodles.com/Rewards. 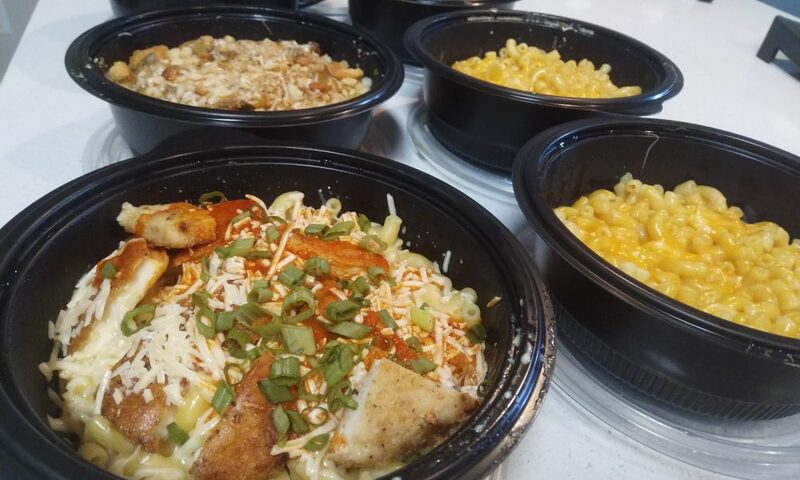 At Noodles & Company, there is plenty of Wisconsin Mac & Cheese to go around. The 475+-unit restaurant chain serves almost 8 million bowls of its famous dish every year, using more than 4 million pounds of elbow macaroni and 3.1 million pounds of cheese sauce. For a lighter option, guests can swap out traditional elbow noodles with zoodles for only $0.75. Zoodles are noodles made from fresh zucchinis spiralized in-house daily. Not only are the zucchini noodles packed with vitamin C and potassium, they are also gluten-free, vegan and vegetarian, and have 90 percent fewer calories and carbs than a regular portion of elbow noodles. A small bowl of Wisconsin Mac & Cheese made with zoodles has 230 calories and a regular-sized bowl has 450. Any guest who orders a bowl of zucchini noodles and doesn’t feel the zoodle love can get a replacement traditional noodle dish at no additional cost. For adventurous Mac-lovers looking for even more flavor, Noodles & Company offers three other creamy and delectable items on its World Famous Macs menu: the aromatic Truffle Mac, spicy Buffalo Chicken Mac and tangy BBQ Pork Mac. While these options cannot be substituted for the free bowl of Wisconsin Mac & Cheese, they can be ordered as an entrée for twice the cheesy goodness. This July 14 National Mac & Cheese Day Wisconsin Mac & Cheese giveaway is exclusive to NoodlesREWARDS members. Guests who are not yet NoodlesREWARDS members can sign up by Friday, July 13 to get their offer for a free small bowl of Wisconsin Mac & Cheese with the purchase of a regular entrée on Saturday, July 14. To sign up, download the NoodlesREWARDS app from the Apple App Store or Google Play Store, or sign up online at noodles.com/rewards. This delicious deal is available at all Noodles restaurants nationwide. Guests can find their local Noodles & Company restaurant by visiting noodles.com.